Boredom in older adults can cause problems, including difficult behavior and depression. And, seniors who have moved in with relatives or into assisted living are more likely to be bored because their lives have changed so much. Coloring may sound like a simple activity to ward off boredom, but it can actually improve health. A research study found that adults 65 or older who engaged in creative activities had better overall health, made fewer visits to the doctor, used less medication, and had fewer health problems. Wow! It’s also an excellent mood booster and de-stresser – making it a perfect activity for caregivers too! Create beautiful art – no skills needed! A great activity for seniors is to explore their artistic side. These fine art coloring books are lots of fun, even for people who don’t enjoy painting or free-hand drawing. They’ll get the joy of creating a beautiful work of art with no artistic skills required! We found some inexpensive, non-childish coloring books seniors will love. The pictures are realistic and lovely and the subjects will interest many older adults. Colored pencils, crayons, or watercolor paint can be used on the high-quality paper. The pages are perforated so they’re easy to remove for display. The lines are gray, so they’ll basically disappear after the pictures are colored in, making it look even better! Your senior will be proud to display their finished artwork. America the Beautiful – 23 majestic scenes from all across the U.S.
At around $5 each, these gorgeous coloring books are definitely worth a try. They could bring your older adult hours of relaxing fun! — Activities for Seniors: Jigsaw Puzzles! my only comment is, please stop calling us ‘seniors’. It makes all of us (and these days ‘senior’ includes, can you believe it, anyone over 50) sound elderly, nearly incompetent, and in serious need of Watching Over. It ages us in the eyes of younger people. Beyond that, the coloring books sound good, but only if someone enjoys coloring anyway. I’d be inclined to ask first before you invest too much money in anything…now, these are nice, but I’d much prefer the more complicated pattern designs over doggies and cute birds. Lol. We mean no offense by the term senior. We only use it because it’s a commonly-used word that usually refers to a person who is over 65 years old. We also use the term older adult. Our website is intended for families taking care of older adults who are ailing and need assistance, not just because they’re older. 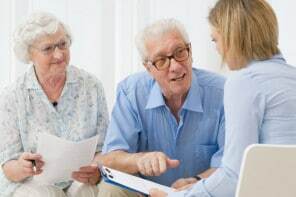 But caring for someone who is near or over 65 is very different from caring for someone who is young, so our practical tips are focused on topics that are more relevant for older adults / seniors. The reviews of this coloring books make me think they are not easy to color and therefore difficult for seniors or other people with other neurology problems. (find it on Amazon – http://a.co/h5kPaGR). The coloring book holds a series of coloring plates depicting objects of the fifties. It tries to combine color plates that aren’t too complex to color in with images that aren’t perceived as childish. Each image in this book includes a short text description which turns the image from a simple coloring book into a conversation starter about the past. * Disclaimer: I have created this coloring book. We are a team of an American graphic designer and a Belgian researcher working on design and dementia projects. Great coloring book! The images are simple, but help seniors reminisce about life when they were young. If you are interested, we could send you a copy. Thank you, that would be great! We’d love to give it away as a prize in our monthly Facebook giveaways and credit your company for the sponsorship. Email us at friends@dailycaring.com and we can discuss it further.